The Lapis Bee is a type of Bee in the Mineral Branch added by Extra Bees. It can not be found in the wild. 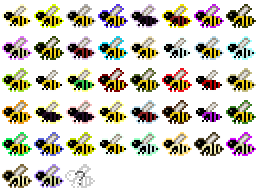 The Lapis Bee has no special Effect. Pure Lapis Bees require Icy, Cold, Normal, Warm or Hot Climate and Arid, Normal or Damp Humidity to start working, and at least one piece of Stone or Cobblestone as a Flower. Lapis Bees produce Rocky Combs every 7.6 minutes. They also produce Lapis Combs every 30.6 minutes. Note that production times are an approximation based on the bee's base production speed and the product's rarity. They do not reflect actual production time. 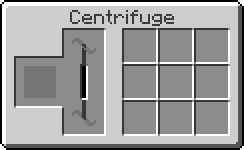 Note: Centrifuging produces 6 Lapis Lazuli. This page was last modified on 26 January 2017, at 22:51.